The United States Hedge Fund List contains detailed contact information for more than 2,500 hedge funds throughout the United States. Cities include New York, Chicago, San Francisco, Dallas, Greenwich, Boston and more. Includes the top hedge funds in the US as well as smaller boutique funds. Download this list of hedge funds in the US in .xls (Excel) and .csv format. 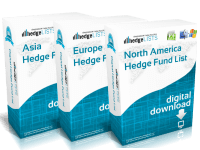 Immediately upon completing your purchase you will be directed to a download link for the US Hedge Fund List. The checkout process takes just two minutes. Can’t even imagine trying to put together this info myself. Would take years. 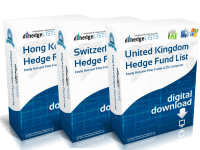 Very good value for me for all this hedge fund info in one spreadsheet. I use Excel with a lot of my prospecting so this was fantastic. 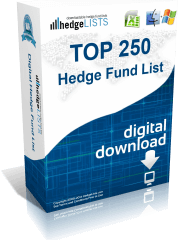 Very pleased with the list of US hedge funds directory. !Muy excelente! Superb list. 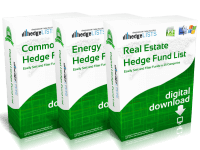 Great info on thousands of US hedge funds. 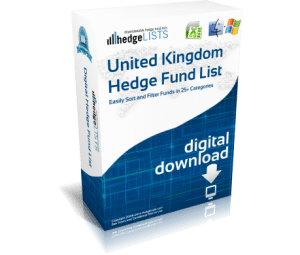 Is this US hedge fund list perfect? No. Here’s why: 1) Does not have performance info. 2) Some of the info is inaccurate However, that said this is quite a good value for the amount of info you get. Particulary so considering other hedge fund databases cost thousands. All in all, if you are in marketing or similar this list is probably worth the money. But it is not perfect. If you are an investor with millions in assets, I would spend the extra money elsewhere. I orginally was searching for free list of hedge funds in the US so this price was a bit of a shock. But I think is worthit for the great information and email addresses. Where can I find private equity info too?